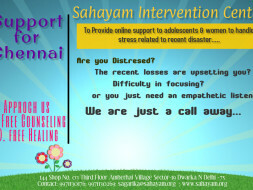 Provide counselling to survivors of Chennai flood relief. Every support counts. 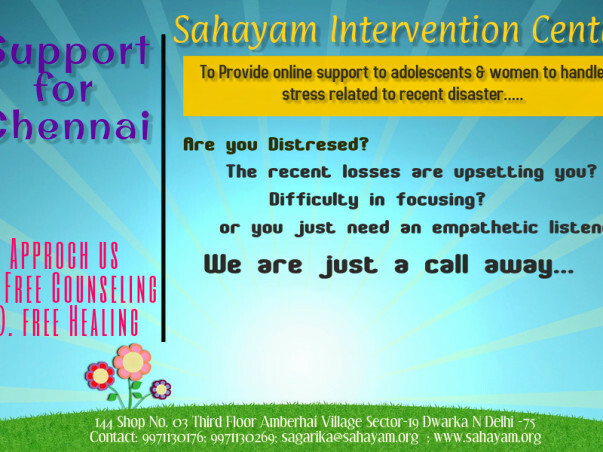 I am raising funds to provide online counseling for the adoelscents affected by the floods in Chennai . The funds raised will be used to cover expenses incurred for the service and also offer an honararium for the counselors . The various costs that are being funded by the budget amount are electricity , internet connections/ wifi/ telephone calls and honararium for all volunteers @ approx. Rs. 700 per month for the senior volunteers and @ Rs. 250 per month for the junior volunteers. Besides volunteer counselors, this project also invloves volunteers for the social media publicity, coordiantion with counselors and counsellees, designing and setting the project on the wheels. Do the adoelscents have to pay? Who will do the counseling? How will the needy approach you? How long is the project ?